Picking up a right kind of gym shoes can be tricky deal amid so many options available in the market. Now, the question arises on which ground one should select a gym shoe? How one should focus on his expectation with the pair of Gym shoes before heading to a regular basis gym training session. If you are a starter then you must be wandering for comfortable ones however professional and mature ones will opt for a durable pair of gym Shoe . There is one more crucial factor which also decides whether the user is going to buy the sneaker or not. The factor is a price tag attached to the sneakers; as everyone knows sports sneakers are not cheaper so it is common behaviour for a user to check his/her budget before buying a pair of sneaker. 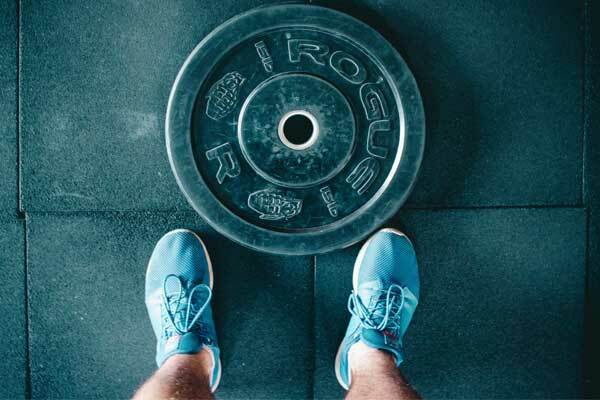 Keeping all these factors in mind, we have tried to feature the best 5 gym shoes for men available in India. 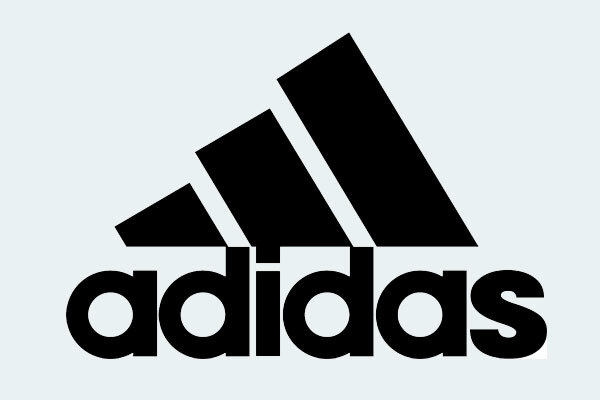 German sportswear brand Adidas being the most iconic and most preferred brand in men’s running shoes industry offers this one of the most famous sneakers in the market. 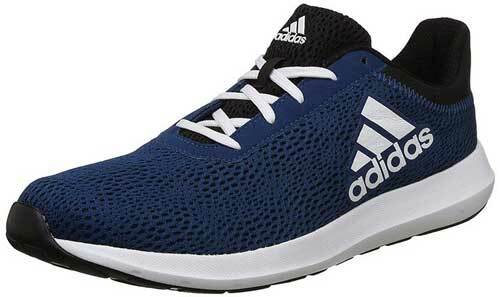 The navy blue running shoes are designed using lightweight material so that it delivers featherweight feeling while running on the Treadmills. Owing to its breathable mesh upper, the shoe delivers sock-like comfort to the legs effortlessly fitting to the foot. Besides, one more thing which makes the shoes as the no.1 contender in the list is its flexibility and springy bounce midsole. The shoe promises to deliver sheer comforts to your feet at just rupees 2,751. 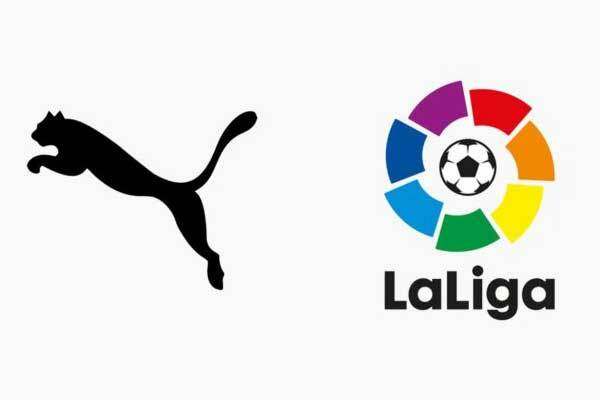 Puma, again German sportswear manufacturers so much known for its balanced sports shoes which always come with class offers a sturdy designed Puma Carson 2X. Especially for those who comprehend the might of black color can pick this up this pair of shoe from Amazon. 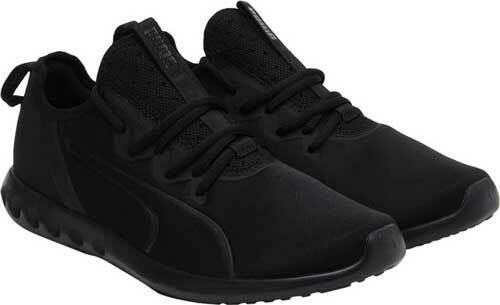 The Puma Carson 2X is aesthetically designed with a lace-up closure delivering a firm fit to the gym goers. Having a textile material as in its body finish, the shoe provides a light-weight running experience to the feet while sweating hard on the treadmill. The shoes carry a warranty of three months, can be grabbed at just rupees 2499. It was just last year only when Asics started its e-commerce portal for the Indian market. The fact signifies the elite sportswear brand move in India as well as its ever-rising prominence in the world of sports. The Japanese brand of Sneakers Asics is internationally acclaimed not only because of its spectacular design which presents an eye-catching finish to your attire but also pledges to render a durable option to anyone’s shoe collection. Here we have enlisted ASICS DYNAFLYTE 3 which was created using the standard measurements. In the market, the shoe can be counted as the number one pick for an urban runner or athlete who is ever ready to take on almost every possible turf let it be concrete, tarred road, mud, and grass. As per the size, available option for a male is D and B are designated for Female. In order to suit the natural curve of the Human foot, companies have given a semi-curved shape to the shoe. Talking about the outsole of the shoe, Asics has used AHAr or Asics High Abrasion Rubber in its outsole that provides traction and protection against the abrasive nature of the surfaces. 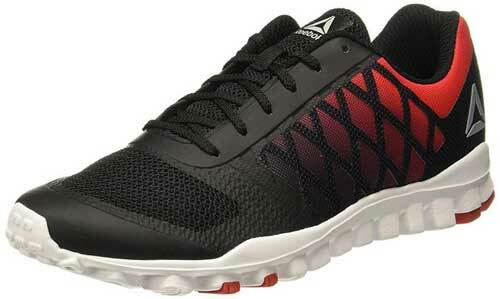 The athlete can go for this pro-running shoe at just rupees 9,999. 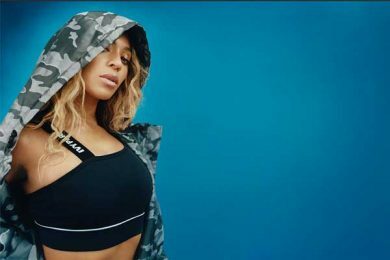 If we are talking about the Gym Shoes, then we can’t just skip UK Brand Reebok off the list. 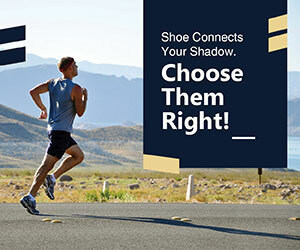 We will talk about Realflex Xtreme running shoes from Reebok that comes with variant options for all kinds of runners including (beginners to experts). The offered shoe which comes with three months of Warranty features a spectacular design blended with the red and black pattern along with contrast and cleated sole. 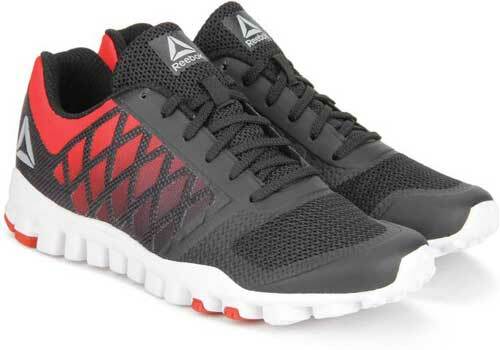 One can grab a cool pair of this Reebok Shoes at rupees 5,499. 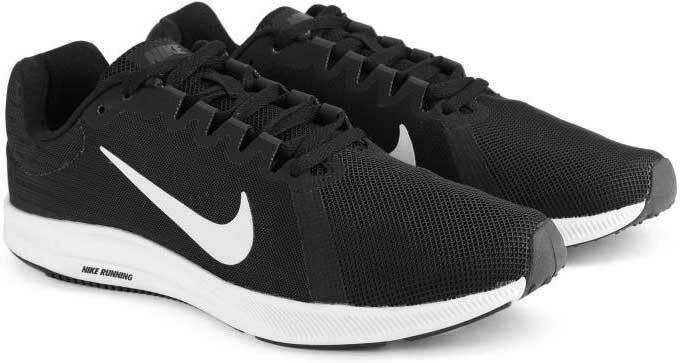 If you are the one, who loves to run passionately let it be on road, ground or treadmills, and then you would not like to miss these Light running shoes from Nike. The Downshifter 8 running shoes from Nike come with a lot many surprises for the ardent runners. With its breathable mesh upper and lightweight finish, the shoe is promised to deliver sheer comfort with its cushioned foot bed to the gym goers. Downshifter 8 with an upgraded Phylon midsole in comparison to its former version Downshifter 7, the new running shoe can go any turf no matter how it would be. Owing to its Flex Grooves Technology, the shoe proved to be a smart shoe especially when its help you to take a sharp turn in the middle of your sprints without causing any potential injury. Available at just 3595, it can suit your overall gym gears.